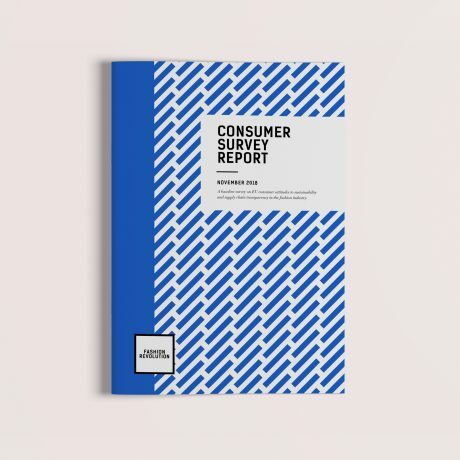 We wanted to find out what information consumers would like fashion brands to share when it comes to social and environmental impacts and to better understand what role consumers think that governments and laws should play in ensuring clothing is sustainably produced. The survey was conducted by Ipsos MORI between 5th – 9th October 2018. We intend to conduct this survey again in 2020 to see how consumers’ attitudes have changed. 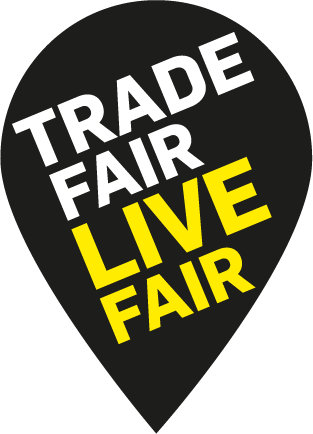 This survey is part of Trade Fair, Live Fair,’ a 3-year project funded by the European Commission that brings together 35 partners from the Fair Trade community across the EU to raise public awareness and contribute to achieving Goal 12.8 of the UN’s Sustainable Development framework: “ to ensure that, by 2030, people everywhere have the relevant information and awareness for sustainable development and lifestyles in harmony with nature”. 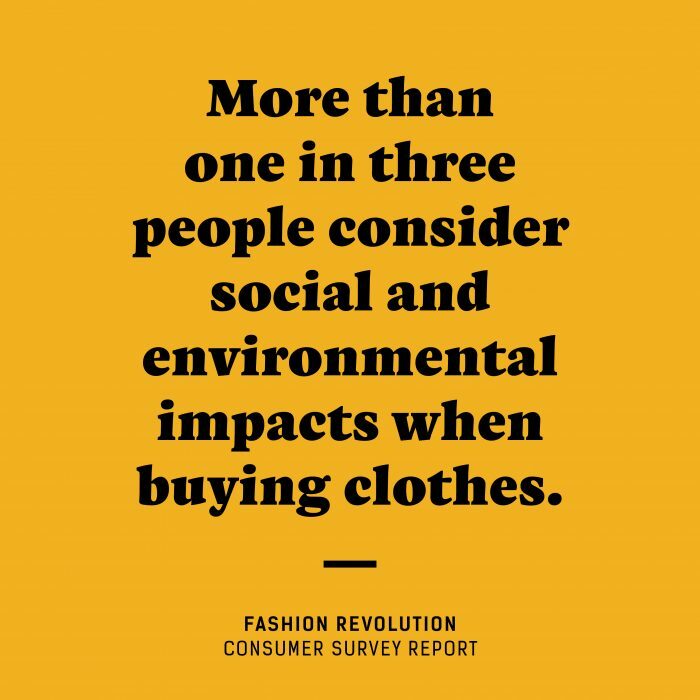 More than one in three people consider social (38%) and environmental (37%) impacts when buying clothes. 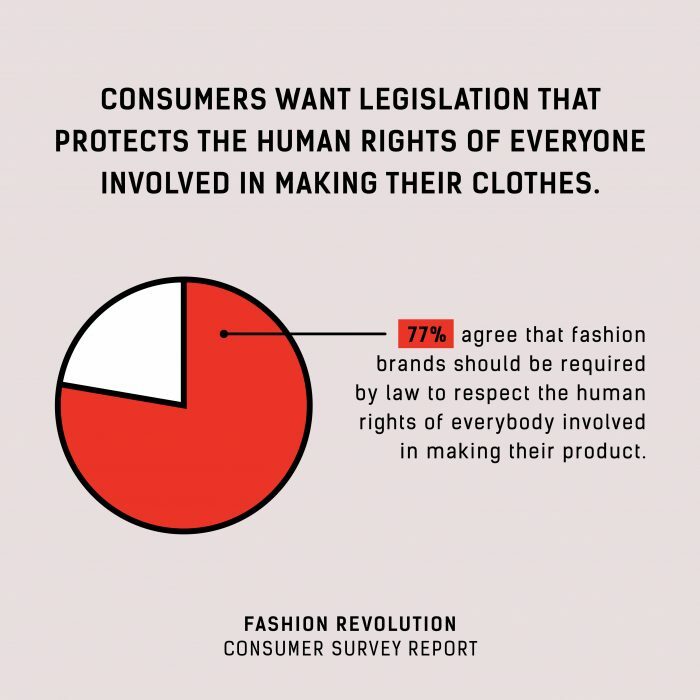 More people (39%) said that buying clothes made by workers paid a fair, living wage was important than any other topic surveyed, including: environmental protection (37%), safe working conditions (31%), animal welfare (30%), local production (10%) and use of recycled materials (6%). The majority of people think it is important for fashion brands to reduce their long-term impacts on the world by addressing global poverty, climate change, environmental protection and gender inequality. 72% of people said that fashion brands should do more to improve the lives of women making their clothes, shoes and accessories. 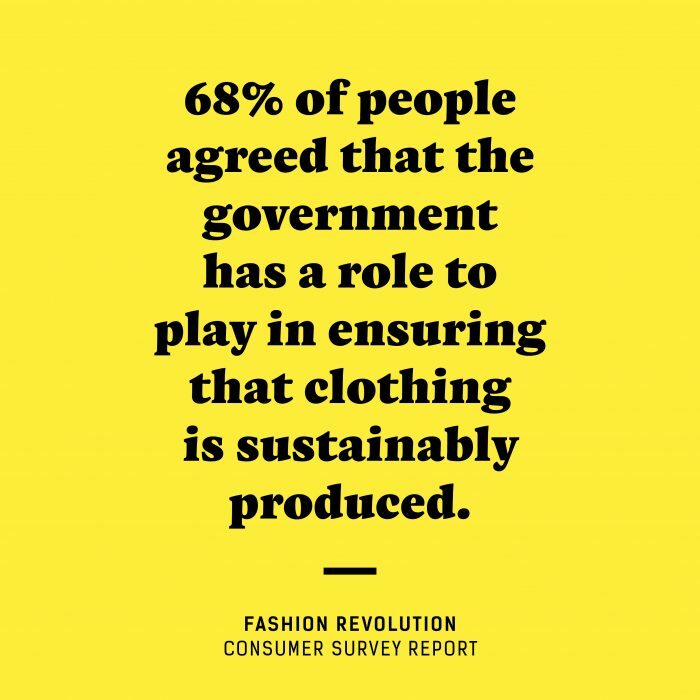 68% of people agreed that the government has a role to play in ensuring that clothing (including shoes and accessories) is sustainably produced. 59% of people are interested in learning what fashion brands do to improve the lives of people in the societies where they manufacture their products. 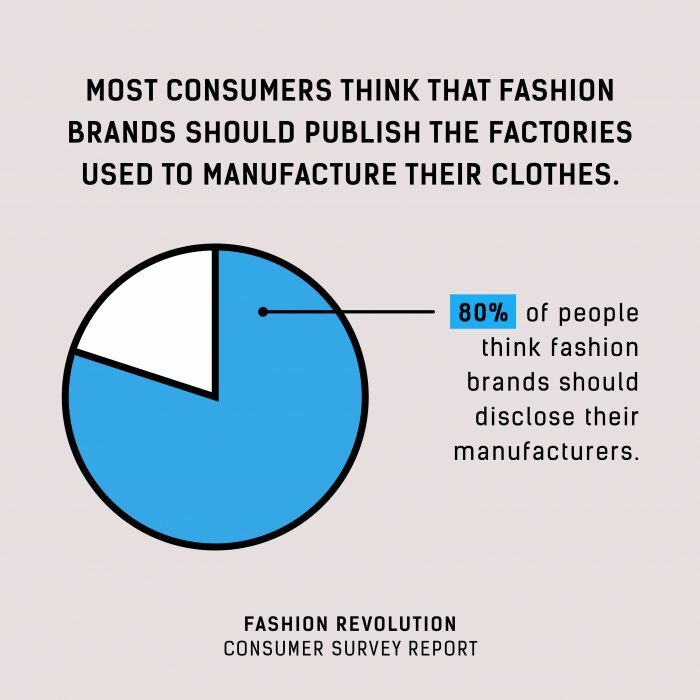 77% of consumers think that fashion brands should publish which suppliers they use to source the materials used in their clothing. Fashion Revolution will use this research to inspire consumers, companies and governments to each play their role in driving long-term industry-wide change towards a fairer, safer, cleaner and more transparent future of the fashion industry.